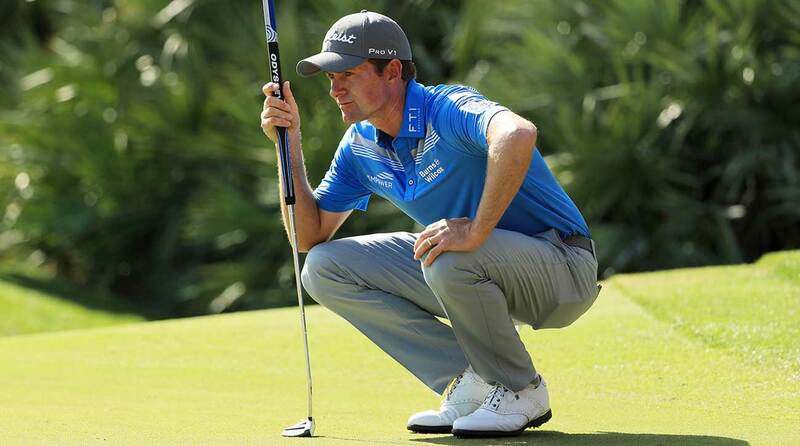 Defending Players champion Webb Simpson was handed a one-stroke penalty for accidentally causing his ball to move just off the 14th green at TPC Sawgrass on Sunday. PGA Tour rules official Ken Tackett broke into the NBC broadcast with Dan Hicks and Paul Azinger to report the penalty. According to Tackett, Simpson’s long putter was caught in his shirt and slightly moved the ball, which was barely off the 14th green. Under the rules of golf, Simpson replaced his ball with a one-stroke penalty. Video of the infraction has yet to surface. Simpson made bogey on 14, another on 15 and then closed with birdies on 16 and 17 to sign for a four-under 72. He’s 10 under overall and currently tied for 14th.